Wall Street live! Can you hold your ground on the trading floor and not lose your nerve? In Speculation, players try to earn as much as they can in an ever-fluctuating market by buying and selling shares at the opportune time in order to grab the biggest profit possible. The player who's skilled enough - and lucky enough - to have the most money at the end of the game wins. 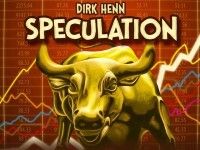 Add a Review for "Speculation"